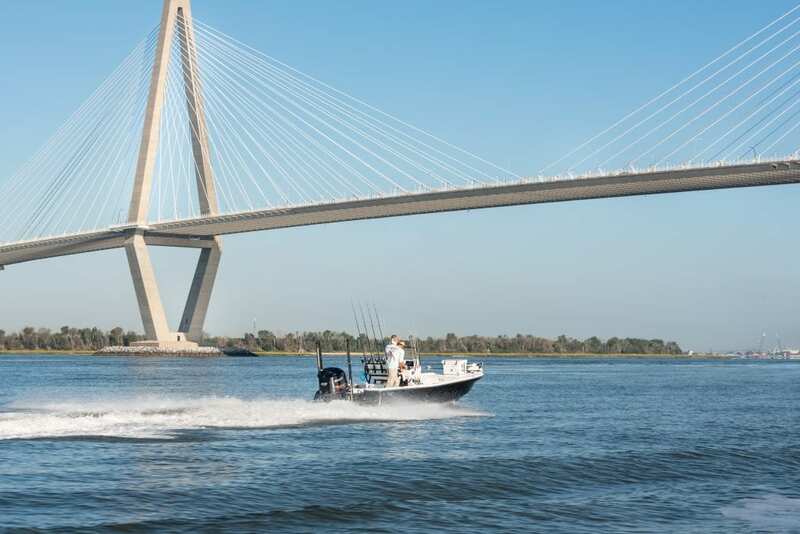 Fishing for flounder in Charleston, SC stands out as a time-honored tradition. Inshore methods for catching the fish allows anglers easy access to plentiful waters. Bottom-dwelling, their flat bodies are instantly recognizable. Targeting this species takes dedication, patience, and skill. 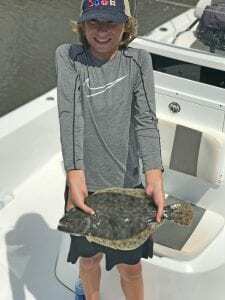 While many people think flounder are a deep water fish, inshore fishing provides ample opportunities for plentiful and large specimens. Flounder are a unique species that exhibit behaviors setting them apart from other fish. Juvenile fish exhibit eyes on both sides of their head. As they mature, one eye moves to the same side of the body as the other. When they are fully mature, both eyes are at the top of the head, looking upwards for feeding and to spot predators. Flounder have the ability to change their skin color and pattern to match their surroundings. They lie flat on the ocean floor, resembling mud or rocks. This makes locating them more of a challenge than Redfish, for example, which are fairly active throughout the water column. Some flounder can reach upwards of 28 inches long, weighing in at over 8lbs. Most anglers experience catches around the 15-inch size. Their unique shaped bodies make hauling them in a different experience than traditionally shaped fish. While the fishing is best in the fall, Flounder can be targeted throughout the year. Once the water warms up, the fish move to inshore waters. They can be found at the mouths of creeks, near structure where the current is pushed through a bottleneck. Flounders are an ambush predator. Their entire evolution has turned them into prolific bottom-dwelling fish. They hide in the mud and rocks, stationary, with their eyes fixed on the water above them. Their feeding style is not aggressive, which translates into a more finesse style of fishing. Think like the fish, they are reducing their caloric expenditure as much as possible. This means they will be sitting on the edge of the current or in eddies where bait will stack on itself. Use Zman soft plastics with a heavy jighead. Lightly drag the bait across the bottom in areas where a flounder would sit. The fun part about flounder fishing is that they are a schooling fish. If you catch one, there is a good chance more are in the area. This method of fishing allows for spin casting with Daiwa rods and reels. Targeting the fish requires a good boat that can get into the shallow water where they might be hanging. When flounder are found in deeper water, the tactics stay the same. Locate structure, and work the bottom with artificials. While harder to locate, the deeper water fish tend to be larger. The same tackle can be used, albeit we generally use heavier line when nearshore fishing. There’s a lot of fish out there and we just never know what’s on the other end of the line. Contact RedFin Charters to get out on the water and hook some flounder.